A perfect addition to the shooting table. 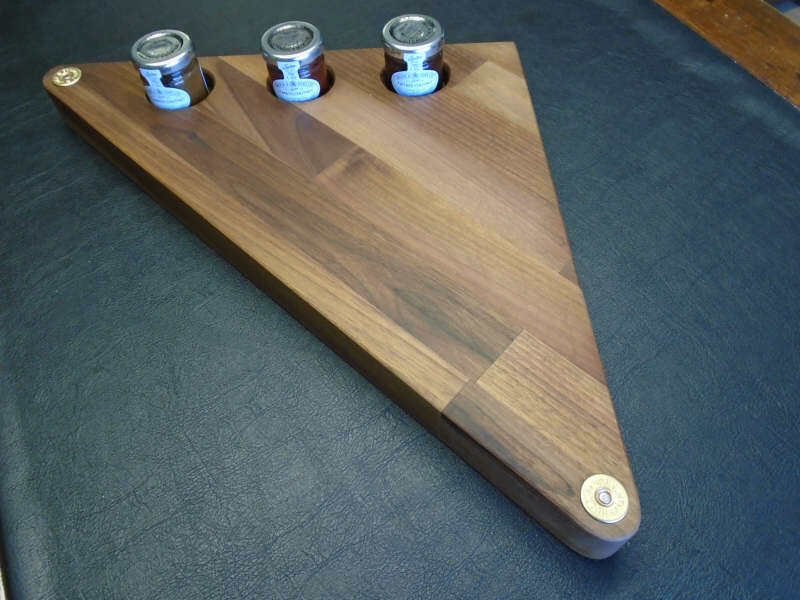 A lovely triangular walnut cheese board with inlaid brass shotgun cartridge heads. 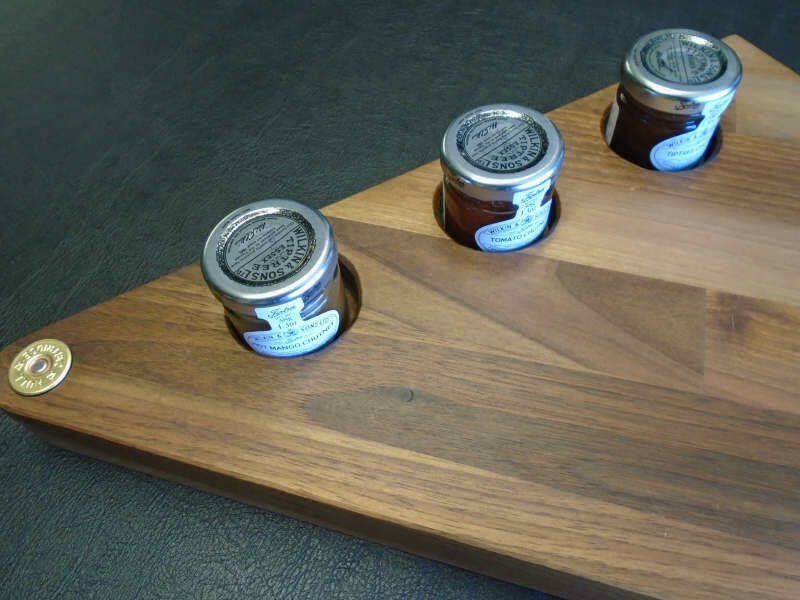 Complete with 3 small jars of chutneys. 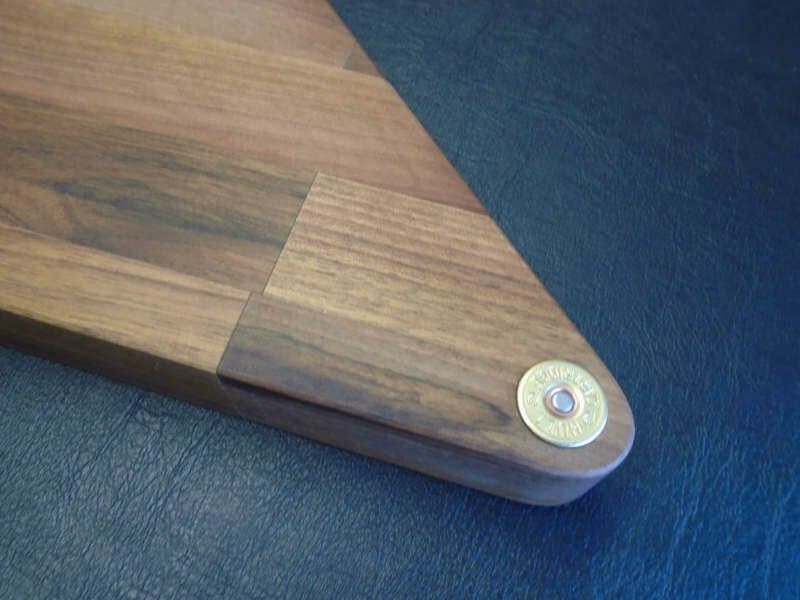 All Gunmakers Gifts by W Richards are individually made and are all unique. No two items are the same.